It was sorta like camping, but not exactly. That’s the way our trip to Gulf Shores these past two days was like. We decided to stay in a cabin instead of involving ourselves totally with the out of doors. It was nice to have our own private bathroom, a fully functional kitchen and a tv where we had access to more than 200 channels (wifey said she still couldn't find anything worth watching). It was another surprise of sorts for wifey. She didn’t know exactly where we were going to stay. On our previous trip to the area (about 115 miles from home), we stayed in a motel in Orange Beach that was adjacent to a lagoon. This time it was the Alabama Gulf State Park in Gulf Shores. Years and years ago, before a hurricane ravaged the area, our favorite non-camping place to stay was Gulf States Resort. It was a complex that was part of the Alabama state parks system along the beach that offered eight units each in a series of about 15 to 20 two-story structures. There was a convention center along with a restaurant and gift shop. We enjoyed being able to just walk out the door of the motel-type units and onto the sand beach. Its been about 10 years since they were destroyed. Talk has it that the state is planning on letting some developer come in and build another beach front hotel. It won’t be the same. But that’s the way life is. 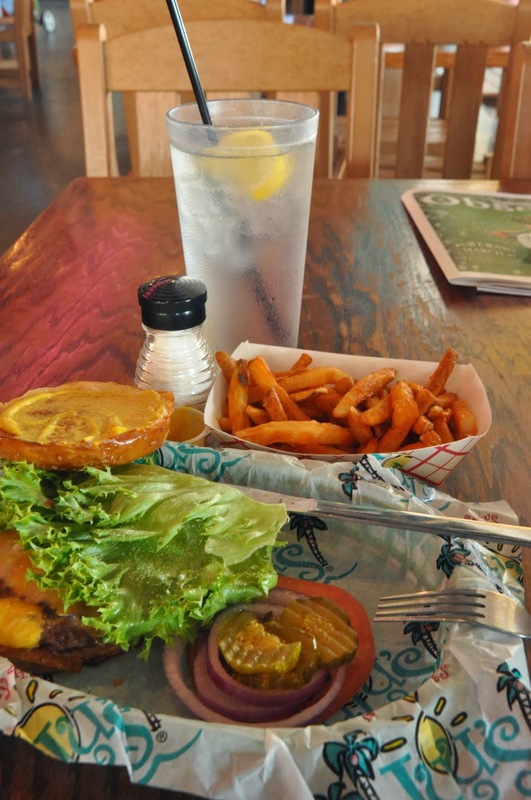 Our first stop in Gulf Shores was for lunch at Lulu’s, owned by a sister of famed entertainer Jimmy Buffett. Wifey had a salad and I had a “Cheeseburger in Paradise” with a side of French fries. 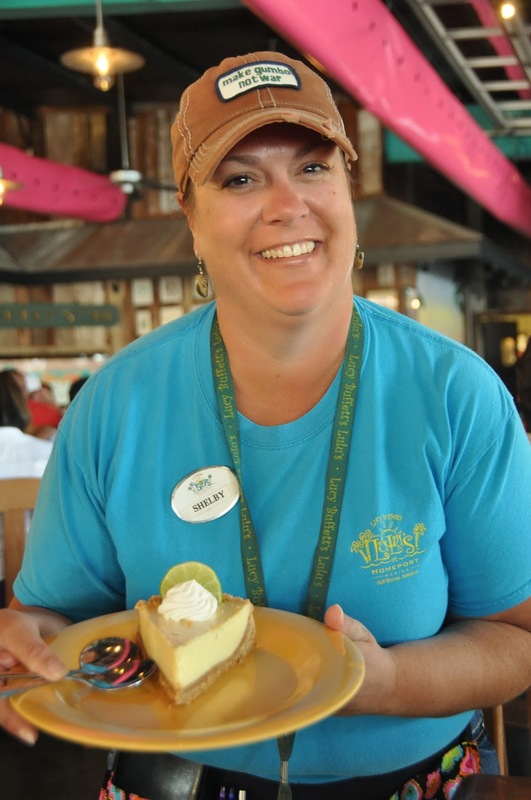 And to top it off, we ordered a slice of Key Lime pie. The weather was great with a light breeze blowing through the area. After lunch we headed over to secure our cabin in the park. The day and night were clear and cool, but the next morning, as we were getting ready to check out, the rain, although light at first, began to fall. We headed back home with a relaxing time behind us and reality on the horizon.